Suspension lampshade with Berber name, made of rounded squares of natural ash wood. 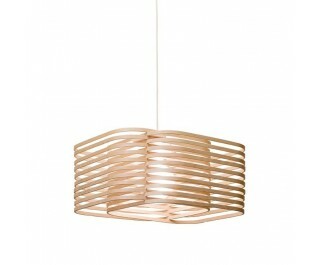 The wooden shapes make the light appear in an almost mystical way and guarantees a beautiful ambiance. Handmade in Italy out of carefully picked materials.